Prejudice has its own historical momentum, but the law can either counter or support this. This month has seen the Cambodian government announce its latest spike in activity against ethnic Vietnamese communities living in Cambodia. Interior Minister Sar Keng announced last week that some 70,000 people, mostly Vietnamese, are living as “illegitimate citizens” due to the possession of incomplete or improper documentation. Building on an August sub-decree allowing authorities to cancel documents such as passports and identity cards, he explained, these documents would be revoked as part of a “coherent national policy” aimed at clarifying citizenship and residency rights. Under these plans, citizenship will be effectively withdrawn from thousands of the country’s most vulnerable people, justified on the grounds that “they should never have been citizens” in the first place. Retrospective legality has adopted a new tone in the Kingdom. For all its idiosyncrasies, Cambodia’s treatment of the Vietnamese is a case with broad implications. Cultivating fear and suspicion of the outsider is amongst the most effective form of populism and the narrative that “your problems are their fault, not your fault” is one of history’s most successful. Migration, residency status, and citizenship are therefore highly politicized issues. Although the battleground on which these ideas are contested exists, in principle, in the emotionally arid realm of legality, this is often merely a veneer. The wider narrative regarding these issues is invariably infused with an urgency borne of the sense that legal distinctions are the floodgates holding back an unstoppable and ultimately annihilating deluge. Nevertheless, amid the seismic upheavals threatening to finally bury Cambodia’s stillborn democracy, everyday persecutions such as this have passed relatively unnoticed. Government crackdowns on ethnic Vietnamese communities have been ongoing for years and the recent period of ostensible democratic plurality only enhanced this. In the wake of CNRP’s success at the 2013 election, the country witnessed a sharp spike in deportations of “foreigners,” from 1,307 in 2014 to 6,978 in 2015, as the war of nationalist narrative raged and both parties sought to position themselves at the forefront of efforts to protect “Khmer citizens” from the threats and treachery of the marauding foreigner. In some ways, this is a very local problem. 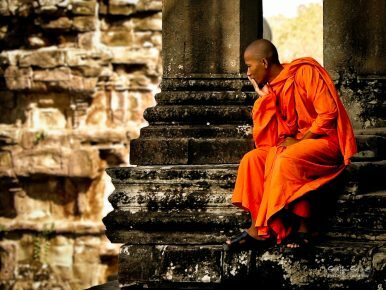 Centuries of alternating vassalage to Thailand and Vietnam following the decline of the Angkor Empire have stained Cambodia’s national discourse with a deeply embedded fear of invasion and national extinction by her neighbors. Since independence in 1954, politicians from royalists to communists, liberals and conservatives have all profited from stoking the embers of ethnic mistrust. Current events merely reflect and continue this tradition. Consequently, the situation we see today is far more than a moment of intolerance, but the product of “deep suspicion and hatred of the Vietnamese” which extends centuries into the past. The impact of this prejudice is not nebulous, but readily readable in contemporary legal status. The interchangeability with which the dyads “Khmer” and “Cambodian” and “nationality” and “citizenship” are used in both the 1993 constitution and the 1996 nationality law reflects less semantic negligence and more a desire – conscious, internalized, or otherwise – to conflate the state’s duties with ethnicity and culture. Moreover, the studied ambiguity of these post-conflict frameworks is far from isolated in history, but reflects a longstanding trend, dating back to Cambodia’s first independent constitution in 1954. The introduction in that document of a condition stipulating that citizens possess “sufficient” Khmer language skills was soon extended, by an amendment in 1959, to specify not only fluency in the language, but also “sufficient assimilation” of Khmer manners, customs, and traditions. The implication that Cambodian citizenship is for Khmer people alone – despite around 10 percent of the country belonging to other ethnicities, half of these Vietnamese – pervades the provision of documentation. Moreover, it is a sentiment embedded in the details of assessment. These clauses engender a pernicious ceding of authority to the subjective, everyday judgements of officials whose viewpoints are malleable to discourse. The condition of “sufficiency” in either language or cultural assimilation indicates no inherent benchmark for objective judgment. Rather, it invites assessment, revision and discussion outside of the framework itself. Crucially, though, it is not only contemporary prejudice that threatens the livelihoods and citizenship of the Vietnamese minority. A high proportion of people in these communities really do live with little or no documentation, the result of decades of turmoil shared with much of the country. However, unlike their fellow citizens, a persistent unwillingness to replace documentation lost in times of conflict and upheaval has rendered permanent the legacy of war and persecution. Past and present persecution combine to isolate these people, pushing them to the waterside margins of the countryside and city. That the everyday risk of fire and flood are so much higher in these areas merely accelerates the process of documentation loss, informality, and exclusion from the state. As a result, the future loss of citizenship looms large even among those in possession of a full set of documentation. A communal awareness that their citizenship is as fragile as the ageing paper on which it is declared – or as the latest developments suggest, perhaps even less so – leads the paths of those presently and potentially stateless to converge. Informality becomes a fact of life for entire communities, as an unwillingness to stake too much on a formal system that is openly hostile to them results in social and economic introversion and underscores their outsider status. For Cambodia’s ethnic Vietnamese, then, citizenship is a right disbarred from all angles. The long history of prejudice with which they are faced ossifies past, present, and future risks to produce a broad and pervasive form of exclusion. Many have lived for generations in Cambodia, the product of waves of immigration predating even French colonization. Yet for all that they continue to be viewed as cuckoos in the Kingdom’s nest. However long a residence they can point to; whatever documents they possess, legally inscribed prejudice looms large over their livelihoods. The broader lesson from their plight is that public discourse is far from harmless. As the scale and complexity of human movement continues to grow, migrants are bearing the brunt of a growing disjuncture between legal uncertainty and narrative simplicity. Boundaries and borders are reverting to a binary simplicity in public discourse – Brexit and the U.S.-Mexican border wall being only two of a litany of examples – whilst complex and changeable citizenship laws wrap migrants’ legal status in an aura of permanent uncertainty. Prejudice, these cases show, has its own historical momentum, but the law can either counter or support this. When, as in contemporary Cambodia, it is the latter, campaigns against “illegitimate citizens” are the inevitable result of intolerance inscribed into the architecture of the state. Laurie Parsons is ESRC-DFID Post-Doctoral Research Fellow at Royal Holloway, University of London. A researcher of Cambodian migrant livelihoods since 2008, he is currently co-investigator of Project Blood Bricks, which examines structured ecological vulnerability in the Cambodian construction industry. He has previously conducted large-scale projects examining inequalities in Cambodia’s economic development for Transparency International, Plan International, Save the Children, CARE International, ActionAid, the IDRC and the Royal University of Phnom Penh, among others. Can ASEAN Play a Greater Role in the Mekong Subregion? ASEAN should aim to be “central” in the Mekong subregion too. January 7 in Cambodia: One Date, Two NarrativesThe Folly of US Intervention in CambodiaCambodia's Elections Highlight Growing MarginalizationChina in Vogue, But Vietnam Still Hun Sen’s LifelineLoving Vietnam, Criticizing Cambodia: Trump’s Double Standard in Southeast Asia.